At some point in life, your loved one may not be able to make their own decisions. They may require you to make decisions for them and although it’s a difficult situation to think about, it can be made easier through planning ahead. If your loved one can no longer make decisions regarding health or financial matters, it may be time to put a power of attorney in place. Power of attorney is a legal document which gives a person the authority to take care of the finances of someone who no longer can. It could be that they have become incapacitated or are in hospital temporarily and need help keeping their affairs in order. Power of attorney can only be set up when someone still has ‘mental capacity’, – the Mental Capacity Act 2005 says a person is unable to make a decision if they are unable to do one of the following; understand information relevant to a decision, retain that information long enough to make the decision, use or weigh that information, or communicate the decision. Does my loved one need Power of Attorney? If your loved one loses mental capacity and there is no power of attorney in place, you will have to apply through the courts to become a ‘deputy’, which can be a long and expensive process. Instead, urge your loved one to nominate a trusted person before it’s too late by setting up power of attorney. Your loved one can nominate one or more individuals to act on their behalf and it’s important to remember that power of attorney can only be set up while your loved one still has mental capacity, once they’ve lost capacity it’s then too late. An ordinary power of attorney makes decisions on financial affairs while your loved one still has mental capacity. An ordinary power of attorney may be used if a person wants someone to act for them, or if someone is in hospital and needs help keeping track of their affairs or assistance coming out of hospital. Replaced by lasting power of attorney in 2007, this type of attorney can make decisions on financial and property affairs. If an enduring power of attorney was organised before October 1, 2007 then it should still be valid. General well-being such as what your loved one should eat and who they have contact with. Power of attorney varies in Scotland and Northern Ireland, so be sure to look into the laws and guidelines where you live. What happens if a Power of Attorney is not appointed? Many people assume that a spouse or civil partner will automatically be able to access bank accounts or pensions and make decisions about healthcare, but without lasting power of attorney they won’t have the proper authority. Decide whether your loved one has the mental capacity to make a decision. If mental capacity has been lost, they will make an order relating to the health and care decisions or property and financial decisions. Appoint a deputy to make decisions on behalf of the person who has lost mental capacity. A deputy is similar to an attorney and there are two types: property and financial affairs deputy and personal welfare deputy. A deputy’s duties are set out by the court and a deputy must always act in the interests of your loved one. A deputy can’t be chosen, only appointed by the court and the process can be lengthy and expensive. 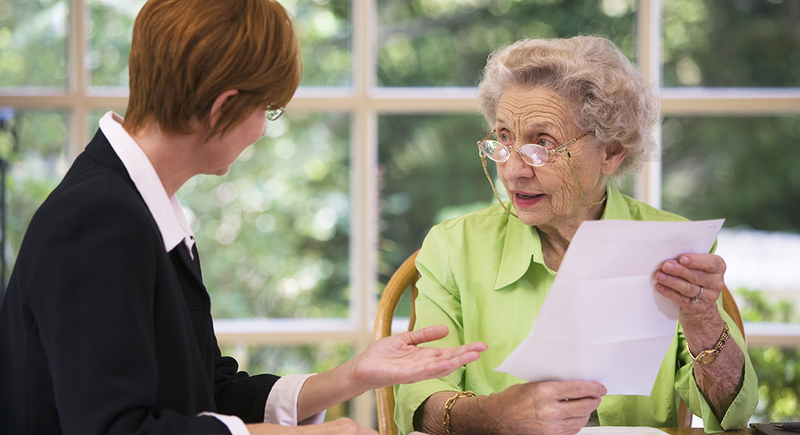 Before arranging power of attorney, you may want to seek legal guidance to avoid problems later on. There is information regarding power of attorney available on the government website or you could get in touch with Citizens Advice if you’d like to speak to someone. First, you’ll need to consult with your loved one and ask who they would like to appoint as power of attorney, the person they choose needs to be over 18 and can be a relative, friend, partner or professional. Your loved one can choose more than one power of attorney, and they don’t need to be a British citizen or live in the UK to be eligible. To begin the process, there are some forms which will need to be filled out, which can be found on the government website or requested from the Office of the Public Guardian. It’s important that the forms are filled out correctly, if there are any problems they will be returned to you and this can make the process longer. The forms need to be signed by a certificate provider to prove that the nominated person hasn’t been put under any pressure to sign them. The certificate provider needs to be someone the applicant knows well or a professional person such as a solicitor or doctor. Details of friends and family who need to be informed about the power of attorney applications will need to be included, they then have six weeks to object to the power of attorney if they deem it necessary. If everything goes smoothly and the forms are accepted, the process should be completed in several weeks. When returning the power of attorney forms, a payment will also need to be submitted. There is a fee of £84.00 per power of attorney, so if your loved one wants a health and welfare and property and financial affairs lasting power of attorney it will cost a total of £164.00. If your loved one receives benefits or earns less than £12,000 a year, they may be eligible for a reduction on these costs. According to the Money Saving Expert, if you registered for power of attorney between April 2013 and March 2017 you may be due a refund of up to £54.00 on the registration fee. Planning ahead doesn’t just apply to arranging a power of attorney, it also applies to the Careline Alarm. Make sure your loved one has help when they need it by getting them a Careline Alarm System. For more information about the alarm, please give our friendly customer service team a call on 0800 101 3333 or pop them an email to info@careline.co.uk.